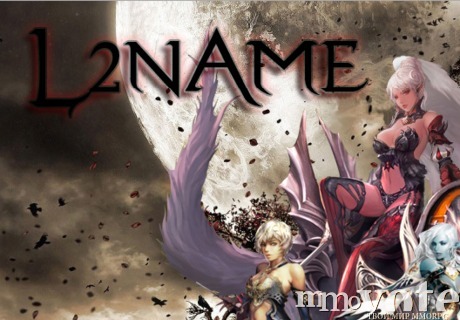 MMOVOTE.RU - Today's review will be devoted to the server L2name. Today's review will be devoted to the server L2name. We can make our readers - this set of servers known to many experts for years. It turns out, he continues to work steadily in its fifth year! First server, which was opened by them, became x10 - there were bugs, holes and friends admins. That's interesting, as there was not a wipe. After all, the first administrator antics almost ruined the server. After cleaning their series server indicated in the tops. Moreover, it began to rise. Although the starting line of the server was about 2,500 users of players. So, after all they had the idea sweeps: open x20 server tick rate. Unfortunately, this number they did not pass, and online zametnenko rolled to zero. However, having spent a number of discussions on the forum server with players, the team has come to a common decision - Open Server High Five tick rate x100. This time starting line up were 3000 live players. And this, despite the cheat that we are now seeing on the site. By the way, on their website you can look online and the server, and the statistics of the worlds. Head over to one of the servers, and see - what's going on. - A large number of gifts and bonuses for new players. - No sales epic jewelry. - There are no accessories, Tattoos and other nonsense, classic - is a classic. - A lot of things from the sale of players. To sum up? If you are looking for a server so that was not ephemeral, if you dream to play exclusively on the safe and stable enough server so there was only an experienced administration and friendly team, then you're in the right place, this set of servers - for you! Next we write our review on another server - LineageRu. Follow the news on MMOVOTE.RU!